PRP Optoelectronics’ capability spans the entire breadth of LED device technology, including in-house design, development and manufacturing of LED displays, optics chips, hybrids and arrays. From our in-house fabs, through die-bonding, wire-bonding and packaging, designing the drive electronics, power management and digital circuit design, right up to the programming of firmware, embedded and control software – PRP is in full control of every step of the design and manufacturing process. The result is a unique and flexible service that puts the customer’s needs at the heart of every custom design project, and a product range in which exceptional performance and reliability are built in from chip level upwards. Two major LED technologies are employed in PRP’s device manufacturing plant – the assembly of individual LED chips to form a ‘hybrid’ structure that can be large in area, and the processing of a single substrate monolithic array of very small, high brightness emitting LEDs. While several standard products are available, a high proportion of the LED array products are custom-designed for specific applications. 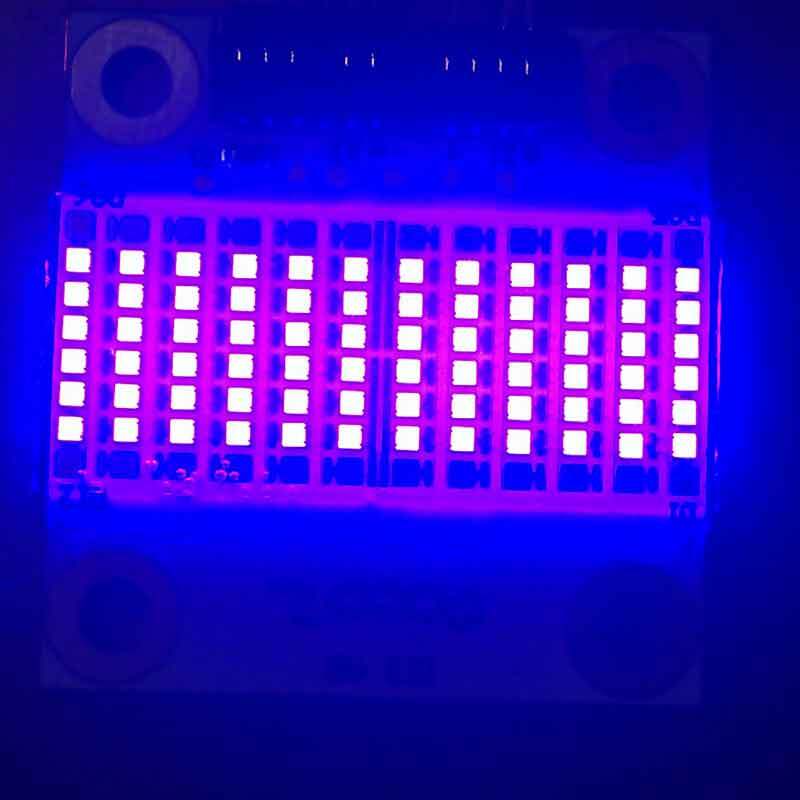 The hybrid technology is used to make digital and analogue displays, using arrays that may contain many thousands of individual LEDs. The monolithic technology is employed to make LED arrays which can incorporate hundreds of individually addressable LEDs on a single chip. These arrays are used in avionics displays, instrumentation, optical systems, head-up displays, thermal imaging systems and also in commercial printing applications.